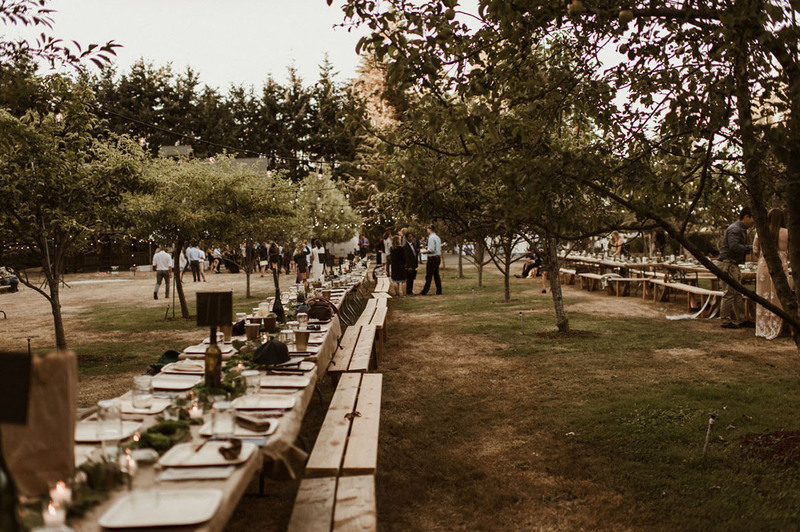 Yela + Zane’s wedding celebration was every bit moody and romantic as it was dreamy and ethereal… Zane dreamt of having an Airstream on site, while Yela wanted lights strung over the banquet style tables throughout the orchard. Sounds gorgeous already, right? 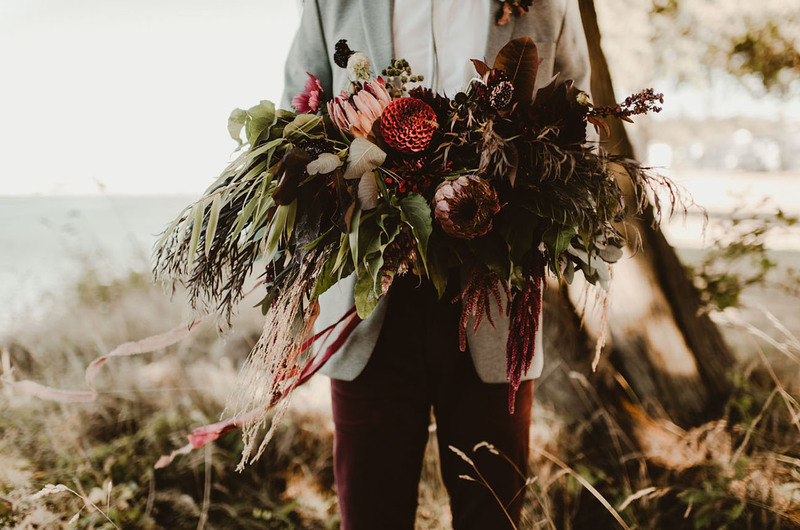 Just wait… Zane’s sister, the florist behind Fire and Blooms, worked with Yela to capture the eclectic and will nature of the day — she even created a leafy floral belt for Yela to rock (which she did, so effortlessly, might we add). 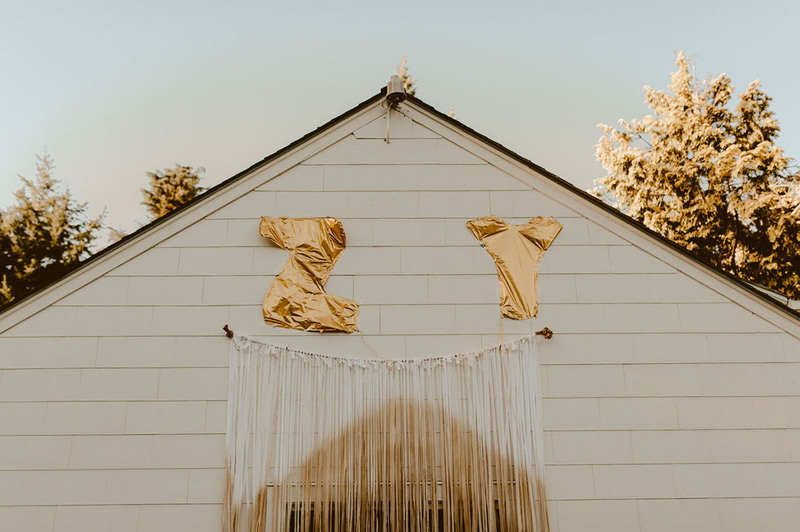 Their photographer, Kathryn of The Moody Romantic, shares Everyone was enchanted by the beauty of the day… The reception was outdoors underneath the Washington sky; string lights glittered and the dance party was filled with some much love and some pretty great dance moves. For the exit, everyone ran around the bride in groom, and sparklers were lit and raised in spontaneous celebration, which was the most authentic and beautiful sparkler exit I’ve ever seen. The whole day was one amazing celebration of two adventurous souls. 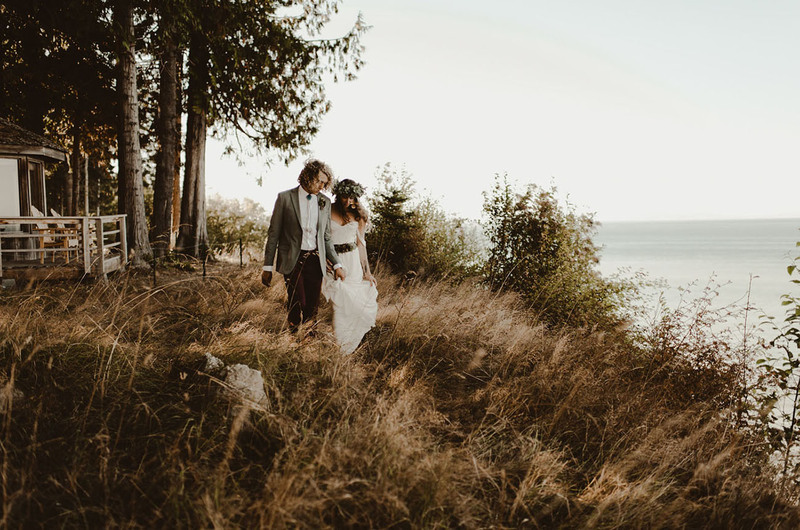 Let’s explore all the magic of Port Angeles, shall we? 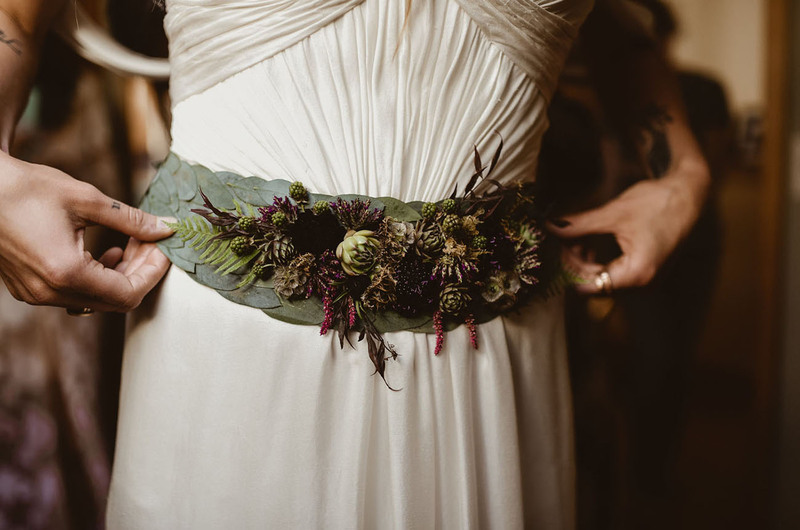 A eucalyptus belt, with moody dark florals added on top — how beautiful is this?! 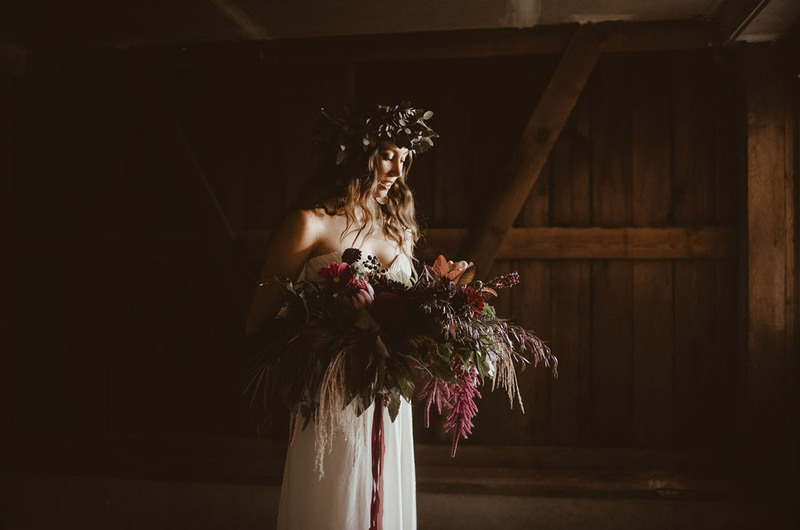 Fire and Blooms created true (wearable) magic! 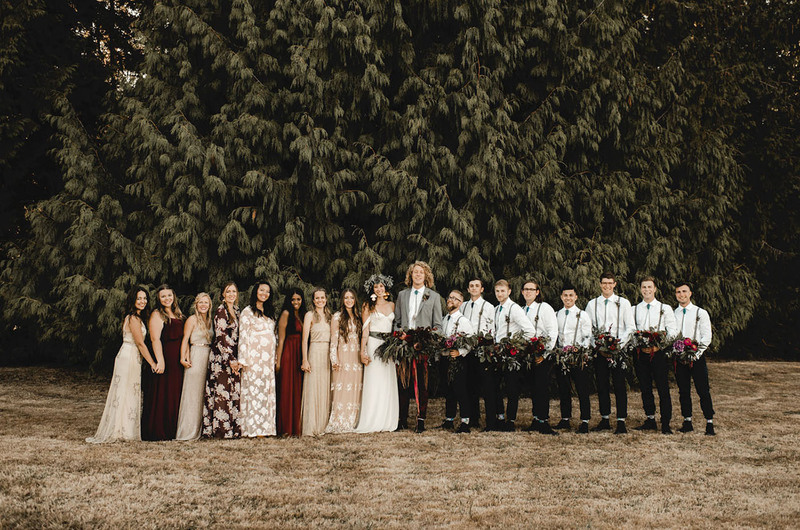 Holy smokes — that beautiful party of bridesmaids!! 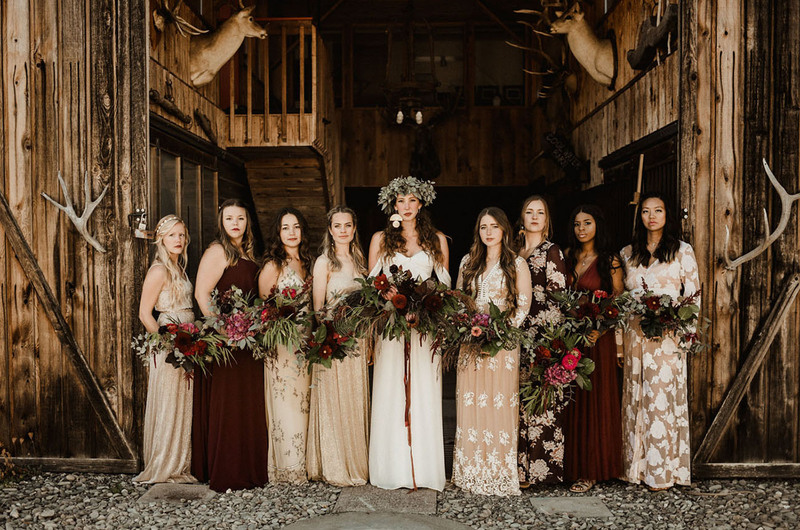 From their choice in dresses to all the moody florals… UH-MAH-ZING! 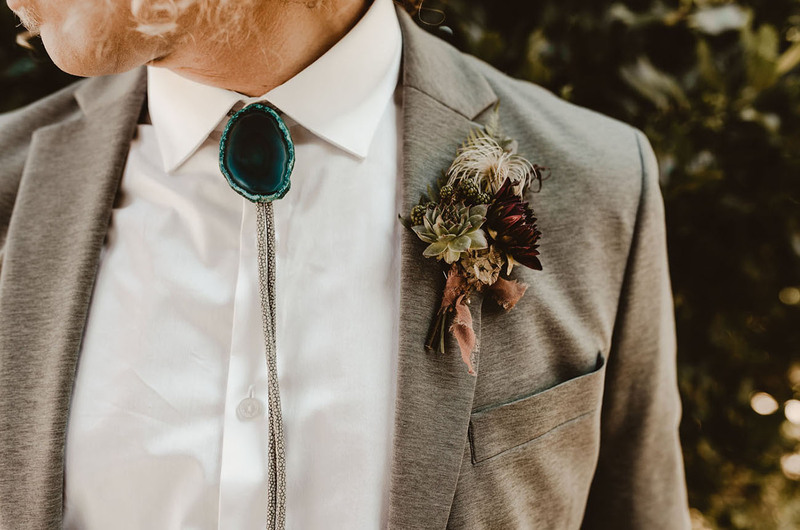 Agate + feather bolos — how cool are these?! 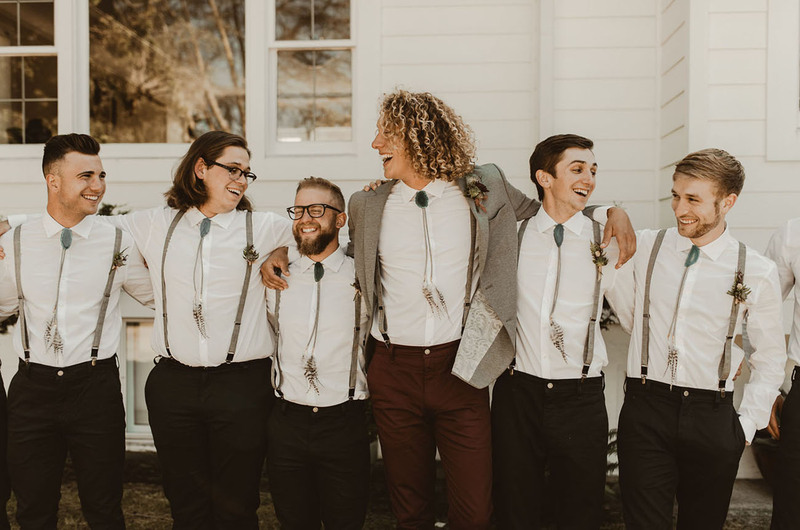 The groom actually made them himself! 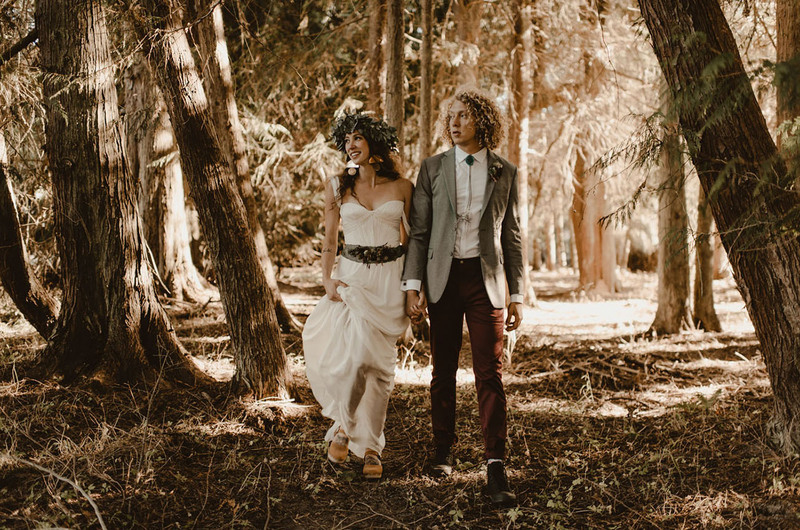 Yela shares: Most importantly, we wanted everyone to come to our wedding and feel loved. 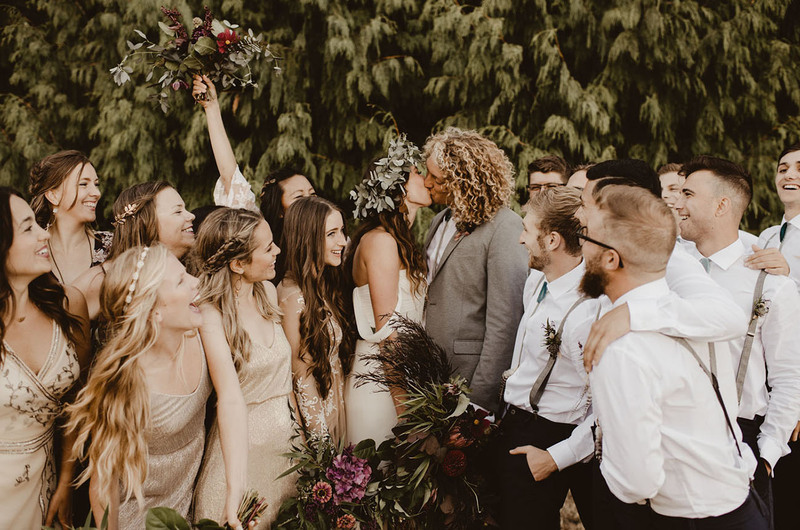 We wanted everyone to find joy and see beauty in this huge life changing commitment. To hear our words to each other, feel the weight of that. To eat food with us, laugh with us, cry with us and then dance with us. It’s kind of like one night that mirrored life in a way, all the stages. We fully felt it was accomplished. On the day of, make sure to breathe deep and be present. Take it all in. This is quite possibly the only time in both of your lives all the people you love dearest from both sides will be in one place at one time. That is one amazing thing. That light! Wow, wow, WOW!! 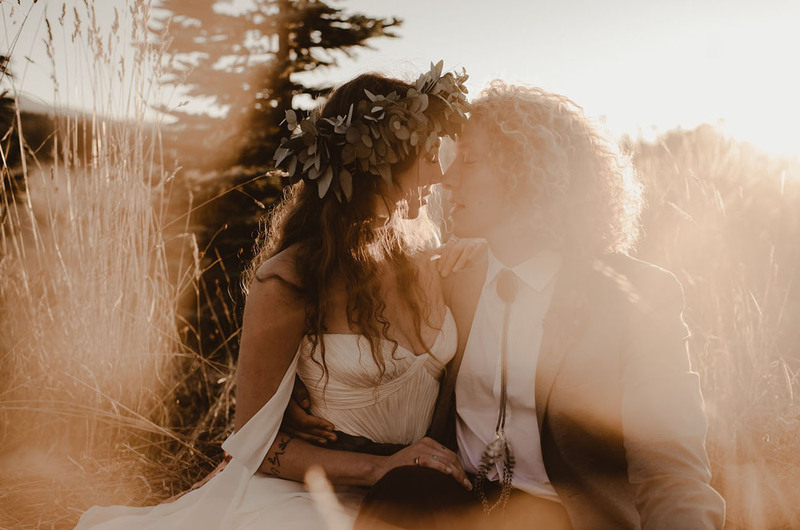 The Moody Romantic tells us: The golden hour was the most glorious golden hour I’ve ever seen. 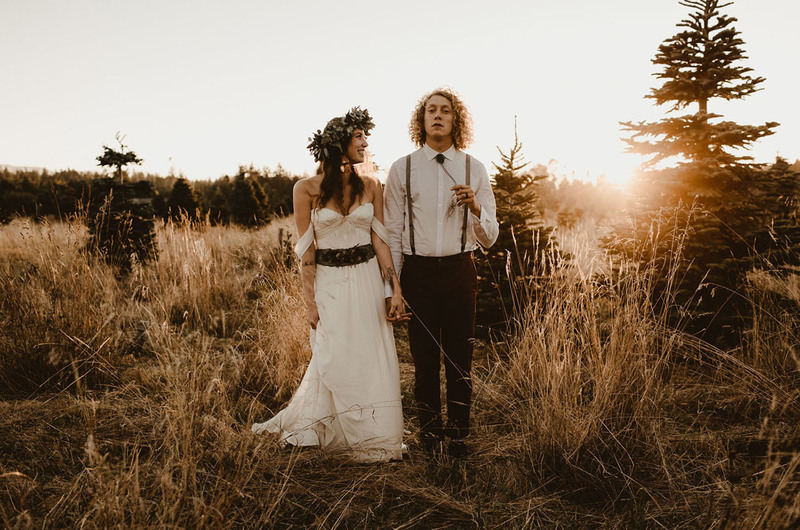 We shot their portraits at the Christmas tree farm where they get their tree every year. Have fun with the whole process. 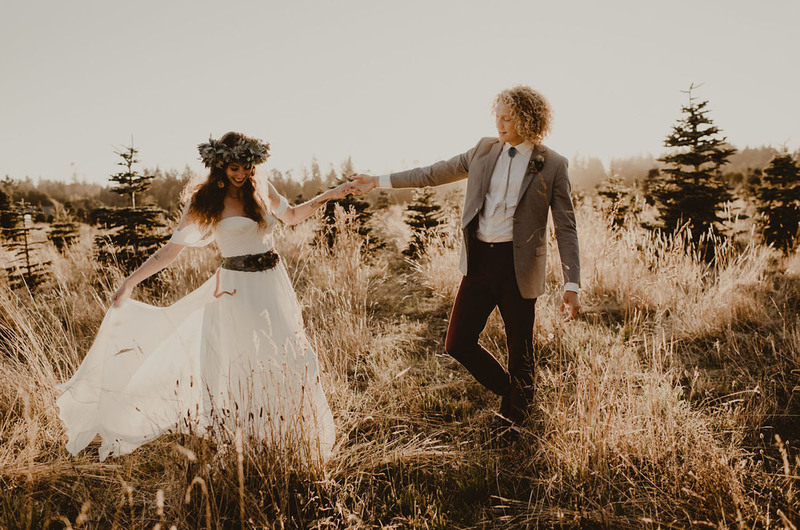 Know that all the small details will fall away compared to the biggest detail, which is your marriage! 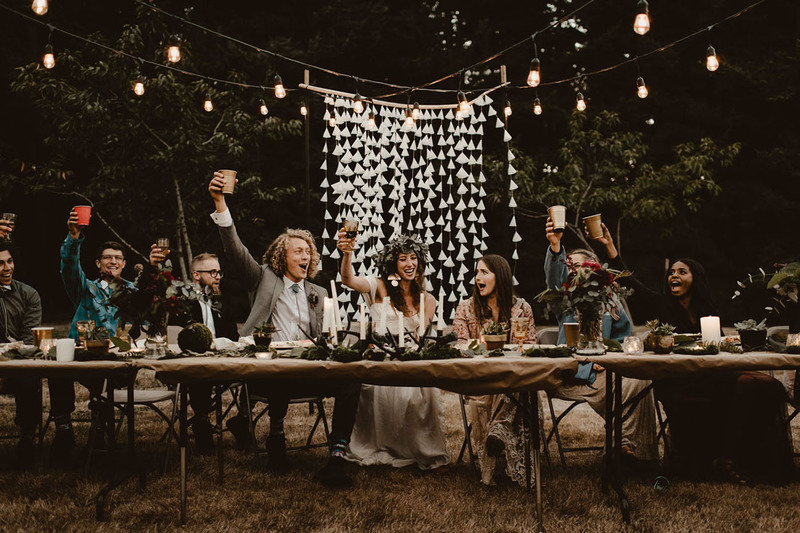 Don't lose focus on each other in the time before the wedding. 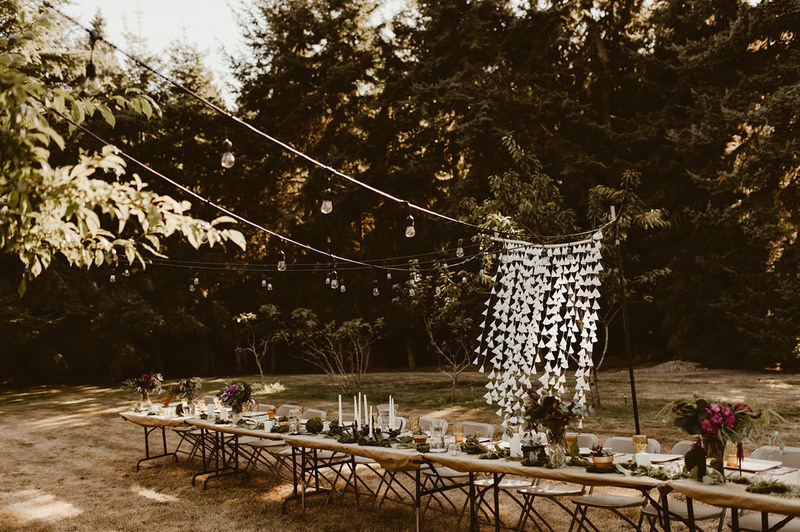 Don't worry about the expectations of what weddings "should" look like. Make this day about what you love. It seems all business sometimes, but you love each other. Go on dates still and laugh when things get messed up. 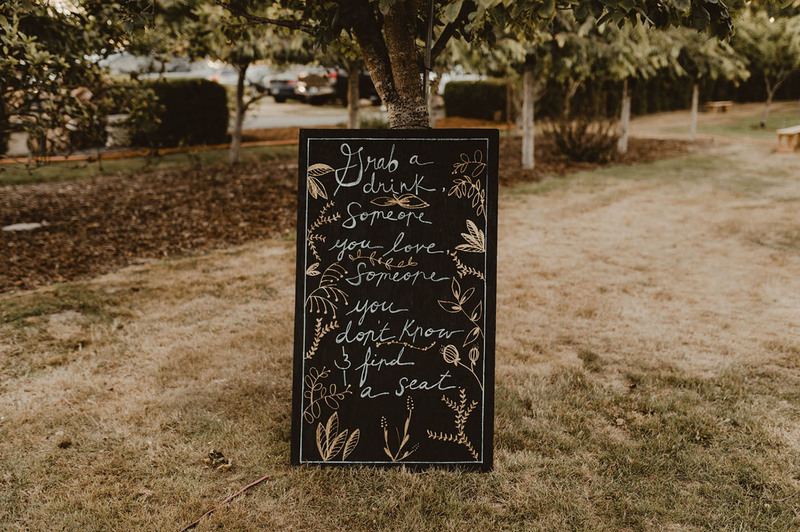 At the end of the day, know the people who love you most would show up to see you get married in the rain and with no food after. 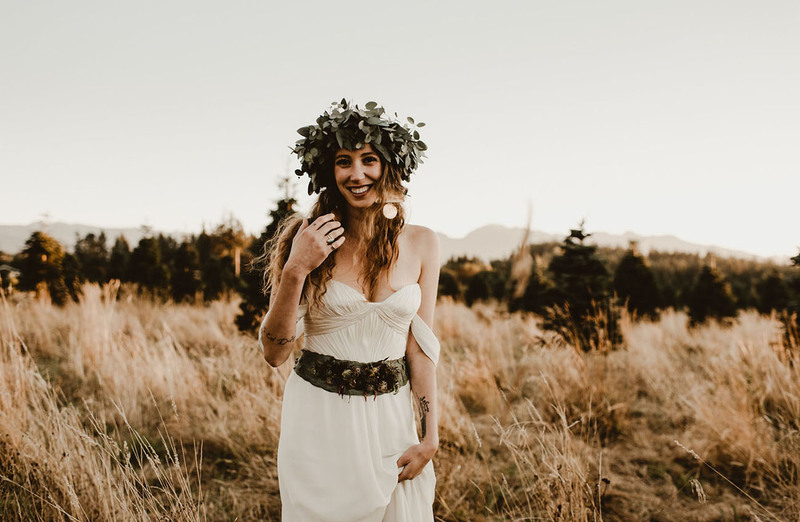 Doesn’t Yela look like an absolute goddess here in her off-the-shoulder gown + decked out in leafy greenery? 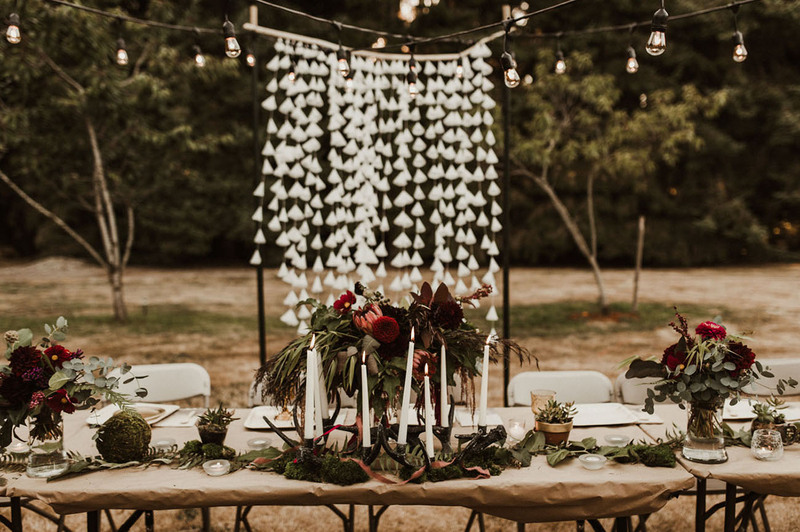 For the outdoor reception, the tables were decorated with plants and every place setting had mottled napkins hand-dyed by Zane’s mom! Cheers to that!! It looks like it was an absolute blast, Yela + Zane. 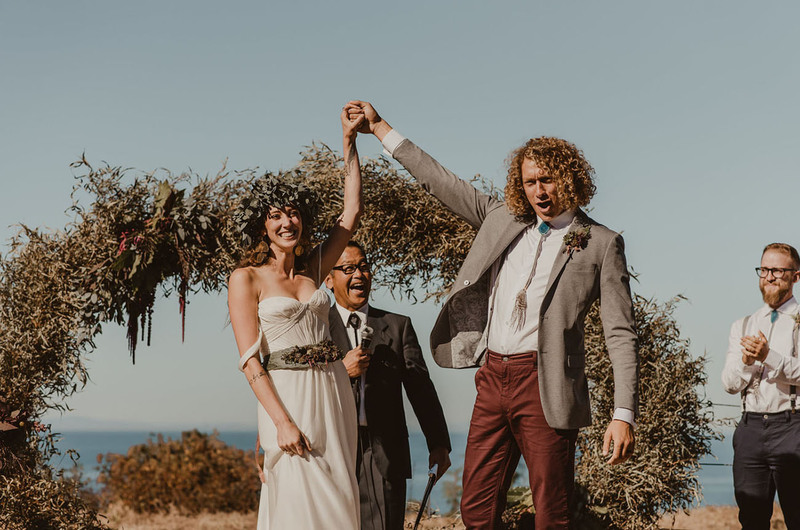 Congrats on your marriage! To immerse yourself deeper in the magic of the day, check out this clip by Kendall Rock. 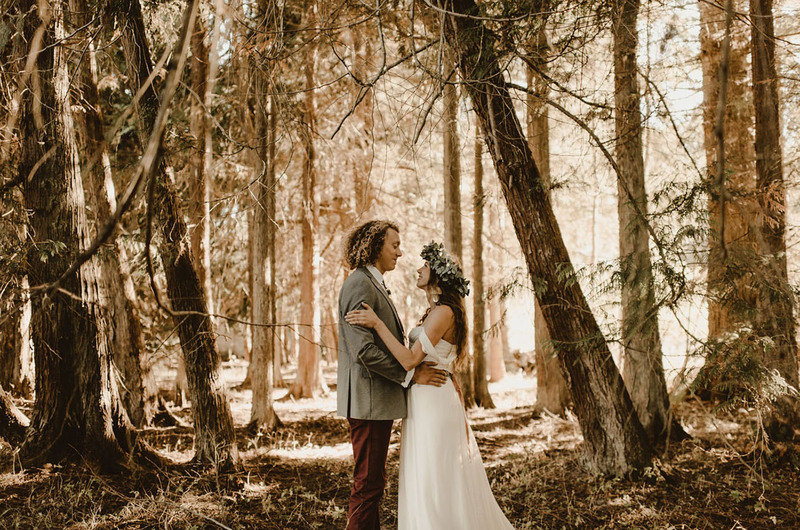 The color of this images are unreal, I loved it! 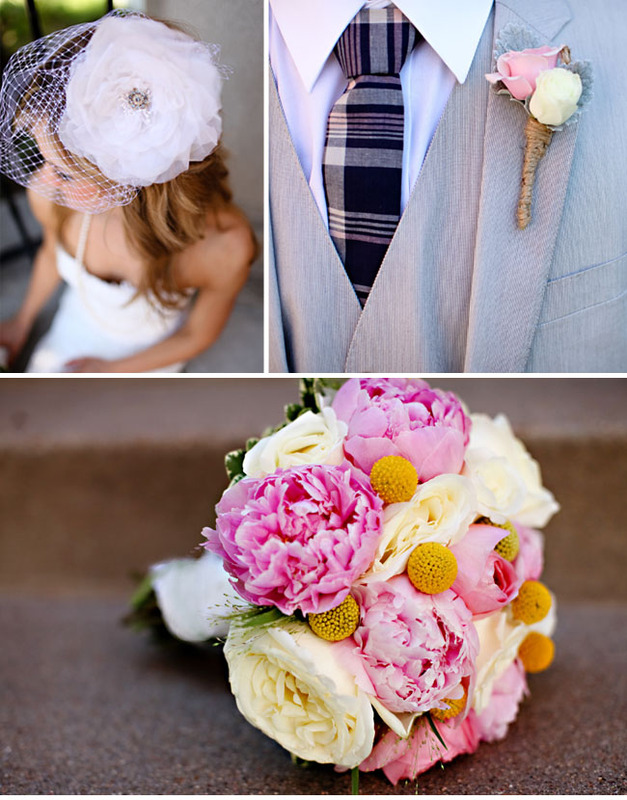 Love the incorporation of such natural details! 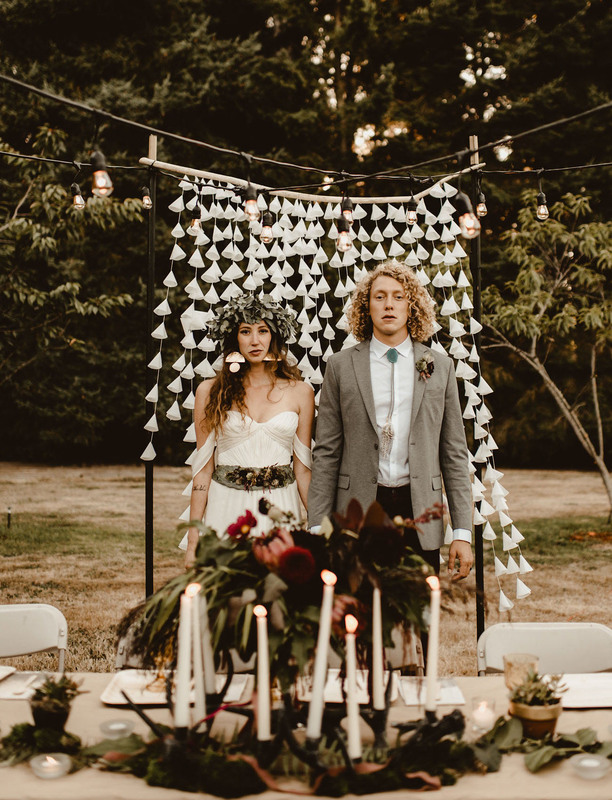 What is the papery garland item behind the bride and groom’s seat? Feeling Festive: Would You Dare to Wear a Christmas Tree Skirt?